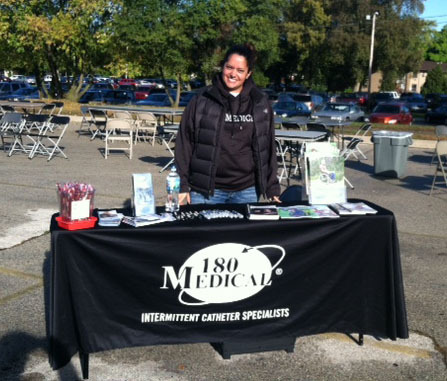 180 Medical was pleased to support a great run/walk/roll event earlier this month on October 6, 2013. Bryon’s Run to Cure Paralysis, an annual event resulting from the partnership between Carroll University and the Bryon Riesch Paralysis Foundation, raises money and awareness for those living with paralysis. We also recently supported BRPF’s recent “This Is How We Roll” Fashion Show Fundraiser on October 20, 2013. 180 Medical’s Urologic Territory Specialist, Heather, was in attendance as well, who got to meet so many amazing ladies, young and old. Even some state senators and the Lt. Governor of Wisconsin, Rebecca Kleefisch, and State Representative Joe Kleefisch were in attendance. This amazing event was organized and created by Jenny Addis, who was injured in a car accident in 1997 and has been a friend of the BRPF for some time. 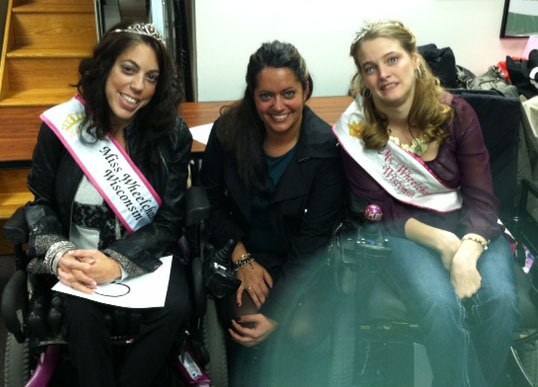 Each of the participating models in the fashion show was affected by paralysis. difficult transition, which then transitioned into a full-fledged foundation in 2001 to help others who, like Bryon, are faced with the difficult situation of paralysis. This organization is close to 180 Medical’s heart, as our own CEO, Todd Brown, is also paralyzed from the chest down due to a devastating motocross accident that occurred in 1994. When Todd came home from the rehabilitation facility following his accident, he realized how difficult it was to adjust to his new life in a wheelchair – not to mention dealing with constant urinary tract infections on top of that! When some good friends introduced to him to intermittent catheter products that are specifically designed to reduce the risk of UTIs, and Todd’s health did a 180, it was only a little bit later that he decided to create 180 Medical – a company with a specific mission to provide unparalleled service, top quality products, and education. You can learn more about Todd’s story here. Bryon’s Run to Cure Paralysis and the “This Is How We Roll” Fashion Show Fundraiser were both great successes, and we’re so glad to be a part of continuing support for those living with paralysis. 180 Medical employees supported the All Stars Ball for a Cause event to help raise money for spinal cord injury research and the Christopher & Dana Reeve Foundation. 180 Medical participates in local run to benefit rehabilitation and those with spinal cord injuries (SCI). 180 Medical volunteers at the Life Rolls On event They Will Surf Again at Zuma Beach, Malibu, California on June 16, 2011.